Book your stay with us at The Westin Lake Las Vegas Resort & Spa, and enjoy our wellness amenities in Henderson made for inspired travelers. 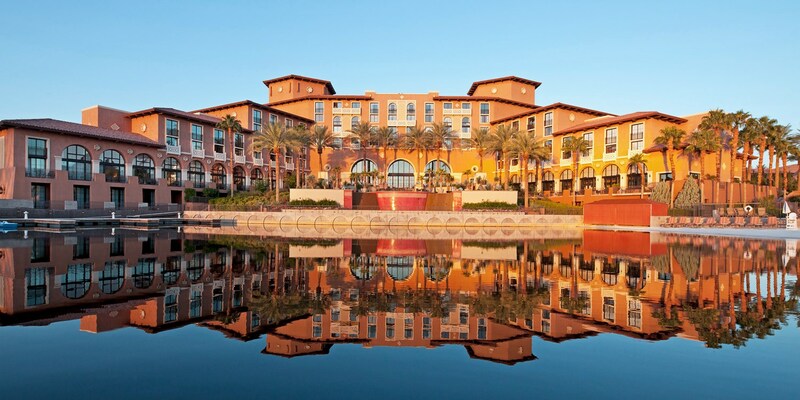 Rising nine stories above the shores of Lake Las Vegas, Westin Lake Las Vegas in Henderson, Nev. is two miles from Lake Mead Recreational Area and 17 miles from the electric pulse of the Las Vegas Strip. Guests enjoy a white-sand lakefront beach, an extensive water complex, a health spa, and fishing and boating rentals; two 18-hole championship golf courses are adjacent to Westin Lake Las Vegas. All 493 guestrooms at this Henderson hotel offer hand-painted decor, compact refrigerators, and bathrobes.